We have emerged from under our cloud of GREY. And now we're ready to bathe ourselves under a cloudless sun as we contemplate TIME ZONES, and particularly the ever-lengthening days and the warm promises of an impending summer. Maybe it's because we both hail from warmer, drier climes, only to find ourselves living on a soggy island (Barbara) or in a cloudy, landlocked corner of Northern Europe (Lydia), but here at Olympia Monthly we believe ourselves to be both connoisseurs and fans of sun and warmth. Did we leave any of your favorite places off? (Yes, we did). Tell us your nominees for Best Sun! Barbara: Most of my childhood memories of sunshine are set on Long Island, where we lived until I turned seven, and returned to for many summers after. In these memories I’m always wearing a bathing suit, the skin has worn off the bottoms of my toes from too much time spent submerged in water, and I’m marveling over the extreme contrast between most of my arm’s skin and the narrow band of white that remains, hidden by my Timex. 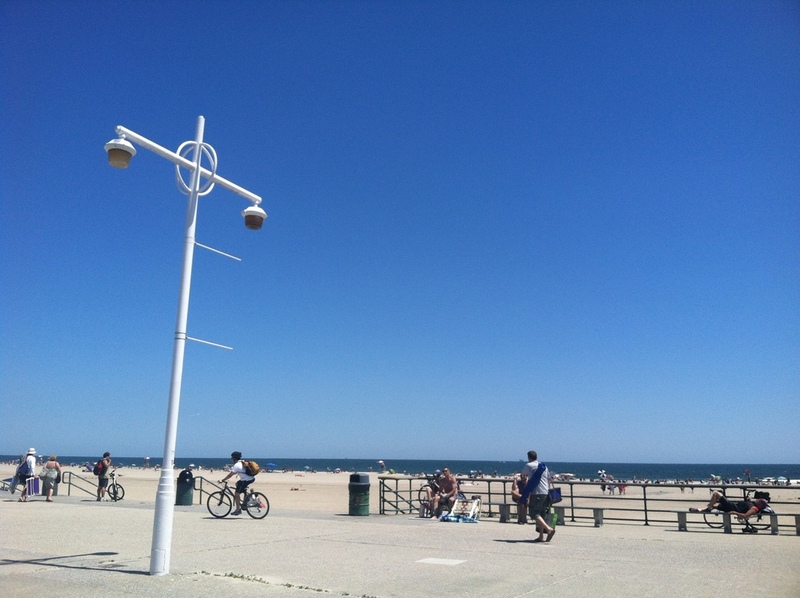 Of course there were likely occasionally stormy interruptions, but to my memory, the sun in summer on Long Island is unwaveringly friendly, beating down a greeting that dissolves any thought of snow or homework. It is hot, but with an undercurrent of coolness that keeps me from feeling it too much. When I was older, my mother, a life-long sun devotee, introduced me to me the beach’s great Golden Hour – the period that starts just before dusk and lasts until it’s dark, when the water is at its warmest and everyone else has left. Look for it most of all in the mid to late summer, along the edges of Long Island and further south, in New Jersey and Delaware. ** Even if I can only find it once or twice a year, I think it’s powerful enough to sustain me. Lydia: I have spent some part of every summer since age 12 in hot cars with various family members driving down wide, heat-glimmering highways and then, as we neared our destination, two-lane roads dusky with Spanish moss, heading to what I have long claimed is the glory of the East Coast: the Carolina beaches. All those rivulets of tar along the squiggly coast, marked HURRICANE ESCAPE ROUTE and GAS THIS EXIT!, littered with billboards for J.R.'s Outlet Stores, or bad wineries, or retirement homes advertising hammocks and sunsets, peppered with drive-through frozen custard shacks and flavored-ice shacks and really all kinds of shacks, universally manned by one bored teenager: those roads led us every summer to many things (a bounty of summer-ness), but most crucially to a week of gleaming, perfect sun. The sun in those summers was clear and magnificent and regal. It was a sun that burnt us to a crisp before we even realized what was happening, in a casual cruelty we didn't mind at all. A sun that evaporated the liquor of the Atlantic to a dusting of sea salt and kelp on our ankles and forearms in a matter of minutes. A sun that each year seeped, with its consistent, unsparing warmth, even deeper into our bones and ligaments than it had the summer before. A sun that enacted a million miracles on the beach and in our bodies with each unnoticed movement of the earth around it: a sun we could drink in to store and save up for less glorious times. In other words, Grade-A Sun. Barbara: The sun got stronger, even dangerous, when we moved to Texas. The August day we arrived in Dallas was the brownest day I think we’d ever seen. Every blade of grass was dead. My sister, who was five and refused to dunk her head in the pool during an afternoon swim, got the kind of heat stroke we hadn't known to look out for. And I don’t think it was even a particularly hot year. 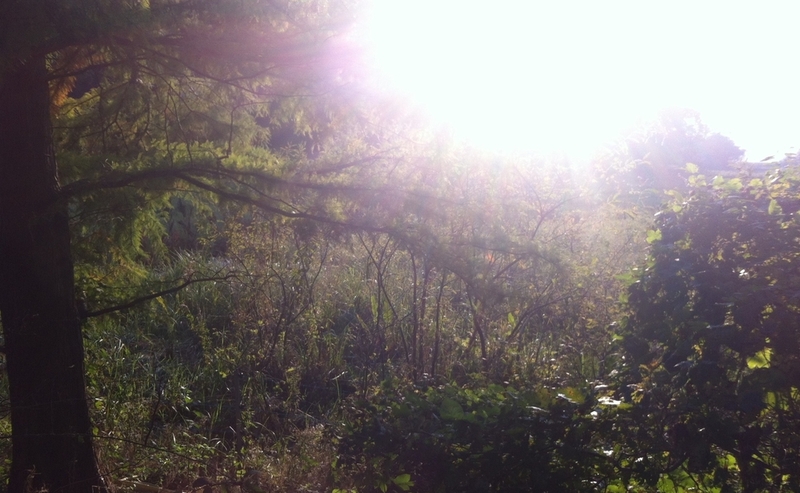 The central Texas sun – I found it later in Austin, too - is clear and exacting, a sweating sun. It requires heavy blinds and small windows – two things I otherwise find unacceptable in any home. There is something painful and singeing in it, and pure, that I used to dread and that I now absolutely miss. Lydia: To my friends and loved-ones, I have long been a sort of one-note proselytizer, preaching the glory of the Berlin summer and the particular joys of receiving sun rays while lying in a scratchy Pfaueninsel field. After a long, dark and punishing winter, to witness the sun's at first shy and then bold, sparkling appearance - as the days simultaneously grow miraculously longer - is to become a believer. To put it another way, to live in Berlin in sunny weather is to live on a soft and forgiving, never-burning, golden honey-wine sunbeam. It is a sun that has the effect of a field of poppies: it will make you perfectly content to lie on a blanket in the Tempelhofer Field, or in the echoing hull of a rowboat, just to watch its long, lazy arc across the open sky, with the beatific smile of the righteous upon your upturned face. Barbara: I never thought much about the sun’s ability to cast such vastly different qualities before I lived in Edinburgh. There, I discovered the sun could have a vegetable energy. And I was shocked to discover that a rare bright sun after days of grey could be as cold as night. In fact, a lot was shocking to me about Edinburgh: I have never before or since seen so many people happily wearing shorts to the park for ungodly exercise in all weather; never either have I seen a paler collection of legs. Like in Scotland, the sun in southern England hardly has any effect on skin pigmentation or environmental temperature – though by contrast, England can definitely feel steamy. In Scotland, and England too, the sun is vegetal, yielding the most beautiful flowers, and parks that are near-constantly green. Weeds thrive in cracks of the pavement, and sometimes in their place herbs and even flowers pop up. I do not wear sunscreen, as it is basically unnecessary unless you’re English. And then, again, there is the beach. Last summer we went to Guernsey, one of the Channel Islands, and spent the four hottest days of the little island’s year lying on the sand. Never hot despite the sun’s full force, we were nevertheless delighted to burn ourselves pink. Lydia: To close, a short note about the sun in southern France: if in northern Europe the sun is thin and clear, like wine, in southern Europe it is thick, honeyed and gilding gold. It is surprisingly powerful, too - roasting walls and glazing fields, turning lavender and desiccated seashells into a perfumed and holy dust. These are not new things to say, but I would posit that no one is immune to bowing down to this particular southern sun, to offering even the humblest of homages. Even the sunflowers turn their heads to follow its coming in and going out. Of course, as in Oyster Bars and Tea Rooms and really all wonderful things, there is a surplus of goodness in this world. In fact, we have surely left out your best sun - no Californian or Southern Hemisphere sun even gets a mention, and neither does the friendly one in your kitchen in the morning, nor the one that warms your back as you wait for a bus. **B: Of course that golden hour exists elsewhere, in many beautiful places – maybe even in Britain . The southern coasts of Europe are powerful reminders.